It’s time to bring out those precious little dog sweaters. Going outside can be chilly for our special little ones. 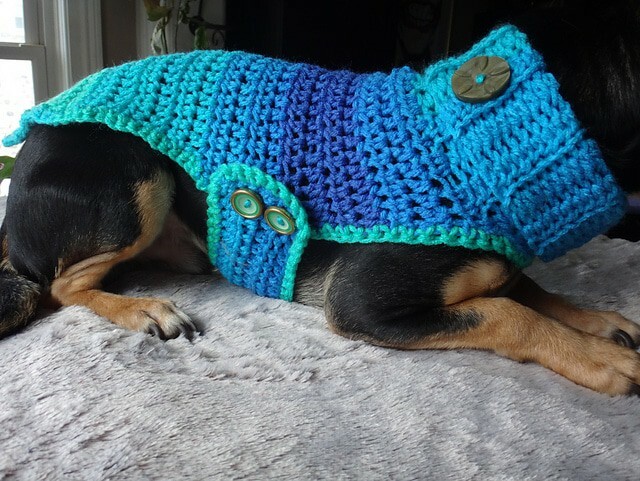 Some doggies even feel more comfortable in the house with a nice, soft sweater. 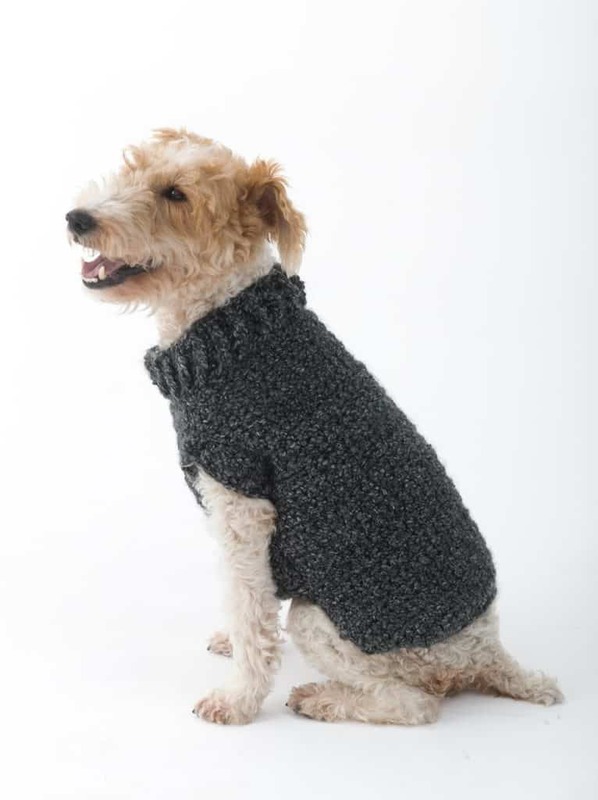 Try out some of these styles to keep your doggie well-dressed and warm. 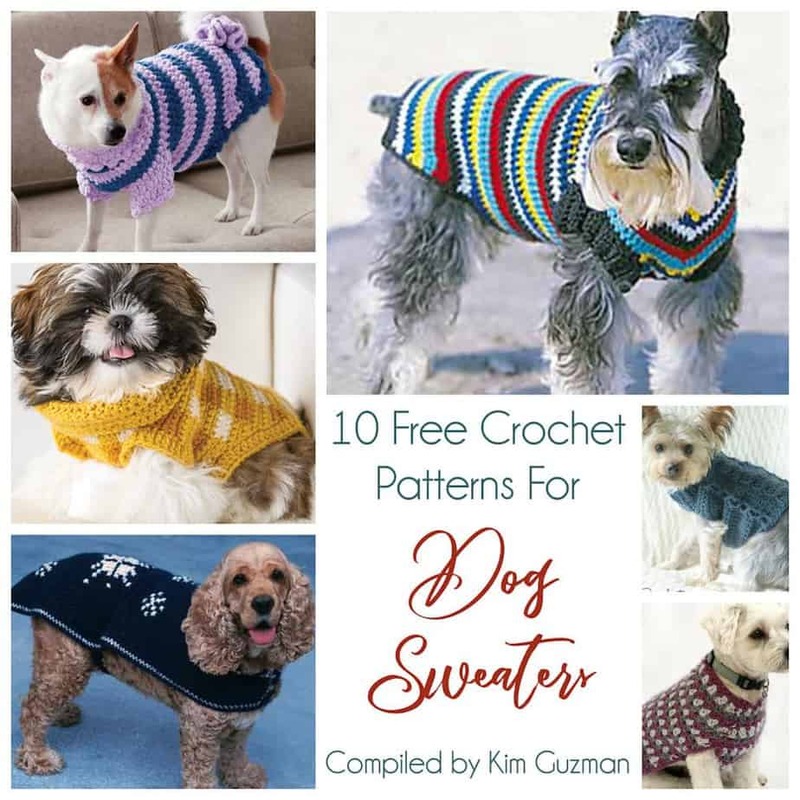 Even though the sweaters are shown primarily on smaller dogs, most of the patterns cover a full range of doggie sizes, including extra small through extra large. 9. 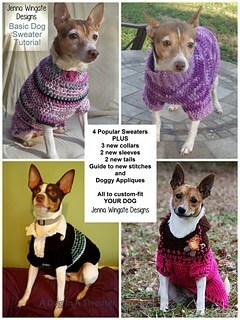 Custom Fit Dog Sweaters by Jenna Wingate: Skill level from beginner and up. 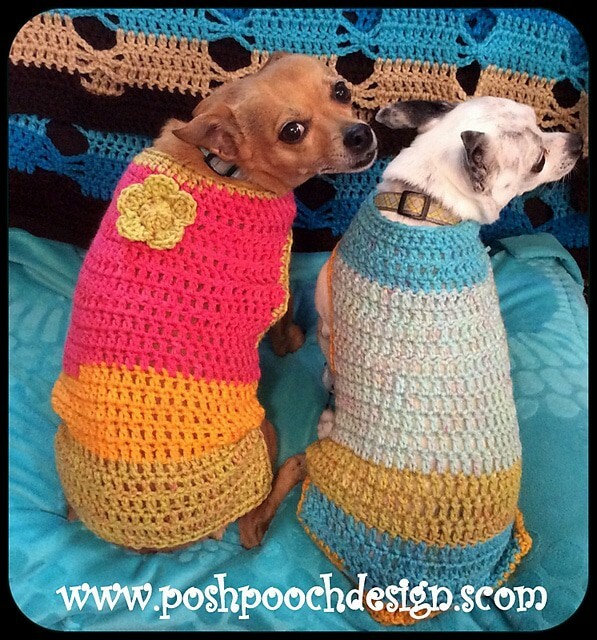 This is a teaching set of patterns and suitable for any motivated crocheter.